Accessible remodeling is the combination of home modifications and renovation that can help people who have very specific needs. (Which, can include physical, mental or other types needs.) Sometimes, this is referred to as disability remodeling, barrier-free remodeling or handicap remodeling. Problems stemming from specific conditions or diseases, such as ALS, Autism, Spina Bifida, MS, Parkinson’s Alzheimer’s or a host of others. If you are in the Baltimore, MD, York, PA or surrounding area, contact us today. 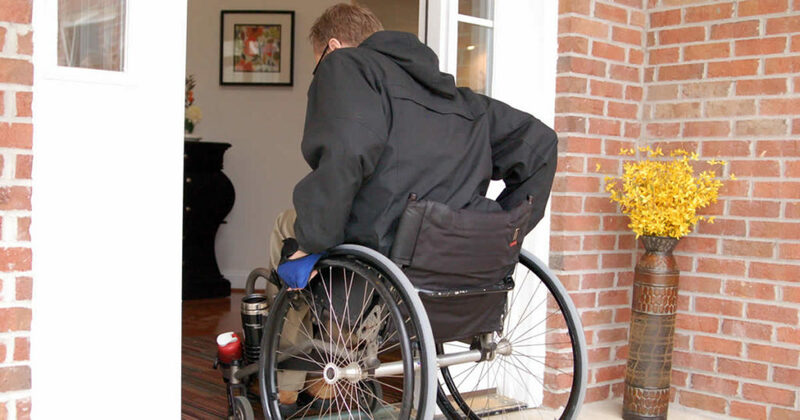 We are experienced and knowledgeable home accessibility professionals, and can help you create the home that will meet your needs and you’ll enjoy. When you are designing home modifications for older adults or people with disabilities, you have to start with the specific needs they have now. Then, incorporate features that will help support their future needs. This means the accessibility of your home is individualized. We start with an assessment of your needs and your home. Then, based on our knowledge and research, we create a list of recommendations. These can range from modifications to accessible remodeling to products; all recommended to make your home easier and more enjoyable for you. Since one of our primary goals is your personal safety and ability to do the things you need to in your everyday life, we will have a specific focus on certain areas of your home. Roll-in shower (which also could be called a no-threshold or barrier free shower, handicap shower or walk-in shower). A shower seat or a feature to help a person sit in the shower. Grab bars, handrails or other assistive accessories. The best scenario is to incorporate a wheelchair accessible bathroom design, while increasing bathroom safety and independence. A handicap accessible kitchen is essential for a person with a physical disability so they can accomplish their activities of daily living. These spaces can be designed to support a person who wishes to remain independent. As well as, help them to continue to care for their families and entertain guests in their home. Roll-under and sit-down sinks, counter work areas, stoves. Appliances installed at wheelchair height. Front or side-mounted (lever-handled or hands-free). Drawer storage in place of lower cabinets. This level of accessibility in your kitchen can revolutionize your home life, allowing you a much greater ability to care for your family or yourself. When you hear the term “master suite”, most people think of luxurious accomodations. In reality, a master suite typically is merely a larger bedroom, with a closet and bathroom. Normally, you’ll find a larger bathroom and/or closet. A larger bedroom, with more open space. Walk-in closets that are large and open. Better lighting, including as much natural light as possible. Lever door handles or automatic doors. More lighting (including natural light). Aluminum modular ramps or custom ramps. It is a sad fact that not every handicap remodeling contractor is the same. They don’t all have the skill, experience or knowledge necessary to properly remodel a home for accessibility. We have been working with clients and patients long enough to know that every person is different, as are their homes and situations. That means every home modification project is different. Forever Home can help you achieve the level of accessibility you need in your home by identifying the right changes, then working with you and a professional home remodeler to make the modifications to your home. Serving Baltimore, MD and surrounding areas.